About 100 employees are being let go by Partners HealthCare. Their jobs are being outsourced to India. 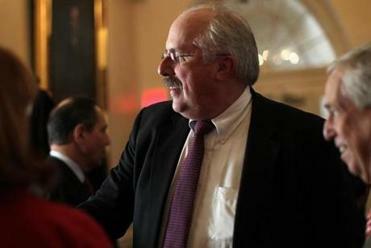 Dr. David Torchiana, Partners’ chief executive, said the job cuts were a financial necessity. 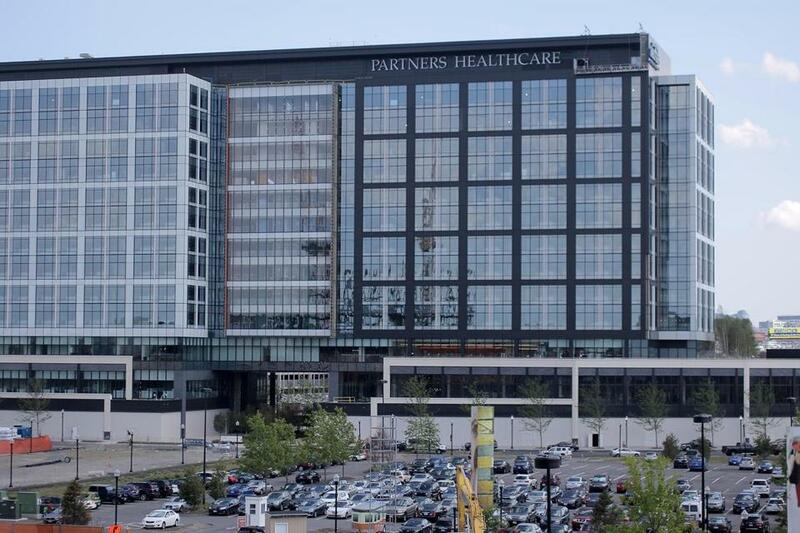 Partners HealthCare, the largest private employer in Massachusetts, has told about 100 employees they are being let go and their jobs outsourced to India, where workers will perform the same tasks for a much smaller paycheck. Many of the employees have worked for Partners for several years, or even decades, and are struggling with the company’s decision. Almost all are coders — people who scour patients’ medical records to pinpoint billable services — and earn upward of $40 an hour. Coders in India earn a fraction of that amount, making overseas coding an attractive way for hospitals to cut costs. The layoffs, which are happening over about a year, highlight the financial pressures facing Partners, the parent company of Massachusetts General and Brigham and Women’s hospitals. Like other Massachusetts health care providers, the organization is required by state law to keep its spending growth to 3.1 percent a year. Cost-cutting pressures are especially acute for an organization like Partners, which charges among the highest prices in the state for medical services and runs a costly research and teaching operation. The large hospital network is several months into a three-year plan to slash $500 million to $800 million in costs. Technology, financial services, and health insurance companies for years have outsourced jobs that can be done remotely on a computer by reliable, cheaper workers in countries including India and the Philippines. Industry analysts say hospitals are now moving in this direction — though cautiously. A survey of employers in 2016 by the consulting form Deloitte found that outsourcing across industries was growing, despite predictions of its demise. And a survey of 400 US hospitals last year by a health information professional association found that about 25 have sent coding jobs overseas. The practice is hard to track, in part because employers are not eager to acknowledge these decisions, given that globalization and outsourcing have become contentious issues and constant targets for President Trump. “They don’t want the bad publicity,’’ said Ron Hira, a political science professor at Howard University in Washington, D.C.
Last February, the University of California San Francisco laid off 49 information technology workers and replaced them with workers in India — a plan it said would save $30 million over five years. Politicians and others harshly criticized the strategy. UCSF workers were required to train some of their replacements in return for severance pay, creating an emotionally charged situation. Coders interviewed by the Globe said Partners is not asking them to train the Indian workers. But some said they were required to sign confidentiality agreements, which prohibits talking to the news media, in return for severance pay — which Partners said is standard. Older coders losing their jobs at Partners were offered an early retirement package. Coders play a critical role. They decipher medical records and doctors’ notes and navigate a labyrinth of alphanumeric codes to determine which services a health care provider can bill for. It’s like putting together a complicated puzzle, while under tremendous pressure to identify codes that will yield the highest payments. Coders for Partners said they began to work from home about five years ago, a change made primarily to save office space. But some feel that move also hastened their demise. Partners coders work in Massachusetts and other states. Partners said that after the layoffs are complete, the company and its hospitals will still employ about 250 coders. Coding jobs are on the rise both in the United States and abroad, said Bevan Erickson, president of the trade group AAPC, formerly known as the American Academy of Professional Coders and based in Salt Lake City. It has about 23,000 international members today, up from roughly 1,000 about a decade ago. Companies that specialize in health care outsourcing have seen the growth. A firm called Omega Healthcare Management Services, for example, has more than 13,000 workers in India and the Philippines who do coding, billing, and other work for US health care companies, and it’s growing at an annual rate of about 25 percent, executives said. In India, coders include doctors, nurses, and pharmacists whose backgrounds make them attractive to American companies, especially given the lower cost of hiring them. US coders earn $53,000 a year, on average, though that can vary widely, depending on education and experience. Coders in India earn one-third of that — or less, the AAPC says. But outsourcing doesn’t always live up to expectations. In the early 2000s, hospitals explored hiring radiologists in India to interpret imaging tests. The experiment largely “died a natural death,’’ in part because US rules require physicians to be licensed in the same state as their patients, said Dr. Sanjay Saini, a Mass. General radiologist. There are less-stringent rules for coders. Hospitals decide what certification and experience coders must have. Sending jobs overseas, of course, has long been controversial, with opponents arguing it hurts the US labor force. David Schildmeier, a spokesman for the Massachusetts Nurses Association, criticized Partners’ plan. The association represents unionized nurses at Partners and elsewhere. “Instead of outsourcing jobs to fill their coffers, Partners should be investing in their operations here to ensure optimum patient care,” Schildmeier said. Partners, with about 73,000 employees, would not disclose its estimated savings from outsourcing but said it continues to invest in its operations here, creating 130 jobs this year for doctors, nurses, and researchers. One coder said he was angry when he learned Partners had recorded a particularly lucrative quarter at the end of December, with an operating gain of $115 million. In the fiscal year ended Sept. 30, the nonprofit health system earned $53 million on operations, with $13.4 billion in revenue. Liz Kowalczyk can be reached at kowalczyk@globe.com. Follow her on Twitter @GlobeLizK. Priyanka Dayal McCluskey can be reached atpriyanka.mccluskey @globe.com. Follow her on Twitter @priyanka_dayal.